Downtime is capable of causing long-term or irreparable damage to your IT budget, so just preparing for downtime isn’t enough. What you need to do is expect downtime and accept that it will inevitably happen to your business. To showcase just how frequently downtime can occur, we’ve compiled several possible ways downtime can become a reality for the average business. User error: It’s not beyond the realm of possibility for employees to make mistakes. It can be something as simple as an employee moving the wrong file to the wrong location, or it can be as complicated as users mistakenly having access to data they’re not supposed to see, only to have it stolen by a scammer. Hacking attacks: If your infrastructure were to be breached and infected by viruses or ransomware, there’s a good chance that you’ll lose data. This can happen due to data destruction or theft, and you can’t ignore the possibility of ransomware encrypting your infrastructure, either. Natural disasters: Regardless of where your office is located, chances are that it’s vulnerable to at some variant of natural disaster. Floods, fires, earthquakes, electrical storms, hurricanes, and many more, are all examples of disasters that can lead to downtime. Hardware failure: Technology certainly isn’t built to last forever, and you shouldn’t expect it to. Even the hardiest of servers will eventually fall to the whims of time. The best you can do is take measures to be ready for such an event, as hardware failures can happen at inopportune times and lead to significant data loss. In order to combat the threat of network downtime, disaster recovery is practically a necessity. This is a part of a thorough business continuity plan that’s designed to get your organization up and running following a crippling disaster. This includes having reliable data backup, as well as a way to rapidly recover its contents. Data backup and disaster recovery might be all you have left to fall back on in the event of a disaster. 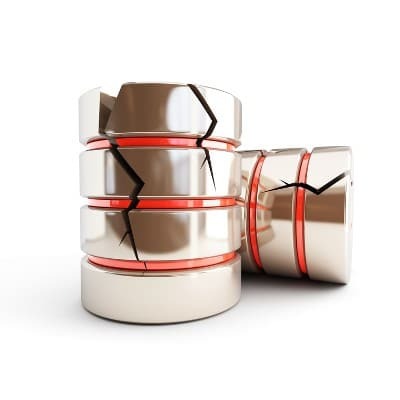 If you’re considering tape backup, know that you could potentially lose out on an entire day’s worth of work, as tape is more vulnerable to user error and isn’t nearly as dynamic as the alternatives. BDR can almost instantaneously restore your data, and since you restore from the cloud rather than a physical tape, you can avoid the majority of downtime. To learn more about how to prevent network downtime, and to ask us about our BDR solution, reach out to us at 307-686-3025.